This entry was posted on December 23, 2011 by David Joseph. It was filed under Reviews and was tagged with H.P. 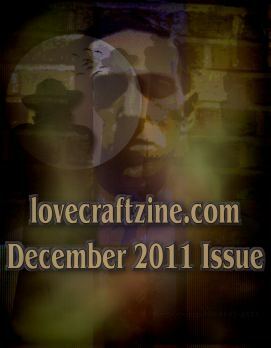 Lovecraft, Lovecraft eZine, Mike Davis, Steve Santiago. Let’s not forget Mike Dominic’s great illustration for “Just An Accountant”, the final story in the December issue. And the audio recordings are a great bonus! Your absolutely right my friend! Mike no hard feelings. I will make the change immediately.